Earth is often taken for granted, and when dealing with the Universe, it is very easy to lose sight of just how rare it is that we can be here– a sentient species numbering 7,066,333,655 as of 23:24 UTC (EST+5) Sep 14, 2012 (time of the original writing). Moreover, an advancing knowledge of all that is around us, and the curiosity and aptitude to drive us further. I would like to take you over some of the amazing details of our own, remarkable planet – from the amazing acts of natural geological process to the terrible ticking time-bombs of Terra. Indeed, they are not unique to us, but occur throughout the entire cosmos. This first topic won’t be about tectonic plates, volcanoes, or rock strata, but about an altogether different topic: Dark Matter on Earth. Astrophysicists have been debating and theorizing over the likely sum of Dark Matter in our Galaxy, the Milky Way, for many years. It is a necessary function to explain missing mass in Galaxies, Systems, and even Planets. Up until recently, it was the assumption that Dark Matter was evenly spread through the entire Universe around gravitational bodies, such as stars and black holes. Now however, several Astrophysicists have come to suggest something very different and very unusual. 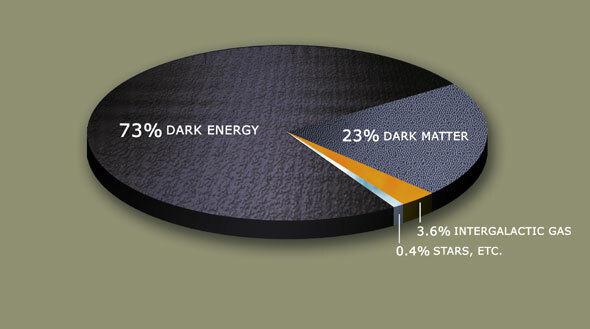 It has been inferred from several computer models that Dark Matter is especially dense in our Solar System. So much so, that our planet Earth actually exceeds the Galactic Halo Density for Dark Matter by a large degree. This can explained through computer modelling by having a large, super dense layer of Dark Matter ranging out from the core of any Solar planetoid. In fact, Adler had modeled a very realistic breakdown of Dark Matter and its apparent gravitational interaction with Earth. In what is known as the ‘Fly-by Anomaly’, satellites and space craft notice absolutely inexplicable variations to their orbital speed at set points around the Earth. Adler reasons that this could be due to a Dark Matter halo being present around Earth causing strange effects on near-Earth orbital bodies. In order for the computer models to work, the Dark Matter Halo is SO HUGE, that if it were on the visible spectrum, Earth, with its Dark Matter Halo would LOOK LIKE JUPITER! It doesn’t stop there however. The required densities for the models to work correctly require there to be Dark Matter passing through and upon Earth itself. As we theorise, Dark Matter interacts only gravitationally with Light Matter, yet there is a mutual affinity between the two particles. It has been suggested therefore that our Planet faces regular Dark Matter interlopers from a multitude of sources. 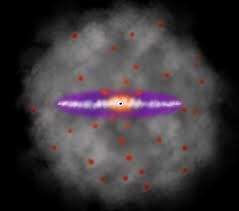 D Lin of the University of California has calculated that the Galaxy’s Dark Matter Halo “is equivalent to 600 to 800 billion solar masses” which contrasts directly to the meager 100 billion solar masses within the Galaxy. D Lin further goes on to suggest that as our System, and hence, Earth, travels through the Galaxy at 220km/sec it is impacting with Dark Matter very regularly. D Lin went on to suggest that each kilogram of Light Matter on Earth manages to scatter up to one thousand dark matter particles each day. P Frisch of the University of Chicago added that our Solar System actually has been orbiting through a super massive cloud of Dark Matter for at least 2000 years, if not up to 8000 years! This could account for residually high amount of Dark Matter altering our orbiting craft. To conclude; Dark Matter is a hugely unknown material presently, but the theory of Dark Matter Halos being attracted to Light Matter through gravity is one that could potentially open huge doors in science and our understanding of the Universe. We just need to know more about it!! Musing over the implications of Dark Matter is therefore highly theoretical, nigh limitless, but with our Universe and all we have learnt, nothing is impossible. Even the potential for each and every human being, and particle of Light Matter to have a Dark Matter Halo. What could this Dark Halo represent? A sixth sense? a shadowed dimension of yourself? Or even much more? Was our Solar System Once Home to a now-Rogue Planet? Scientific Hypothesis, Theory, or Law? Protostar Found that Shoots “Water” Bullets: Rite of Passage for Sun-like Stars?